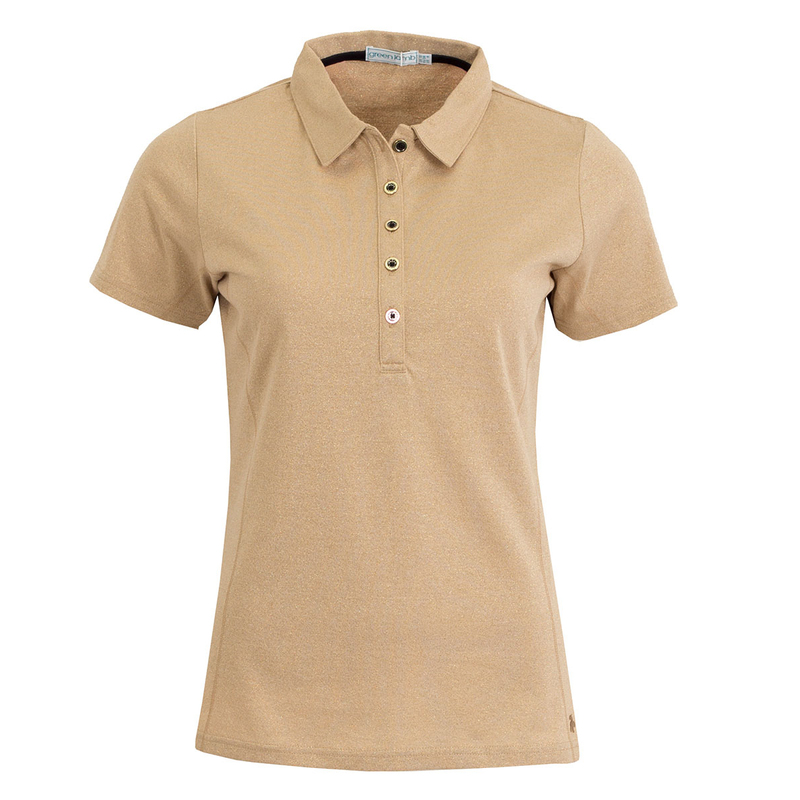 Dazzle your playing partners with the high quality and luxurious Green Lamb Textured Polo Shirt. 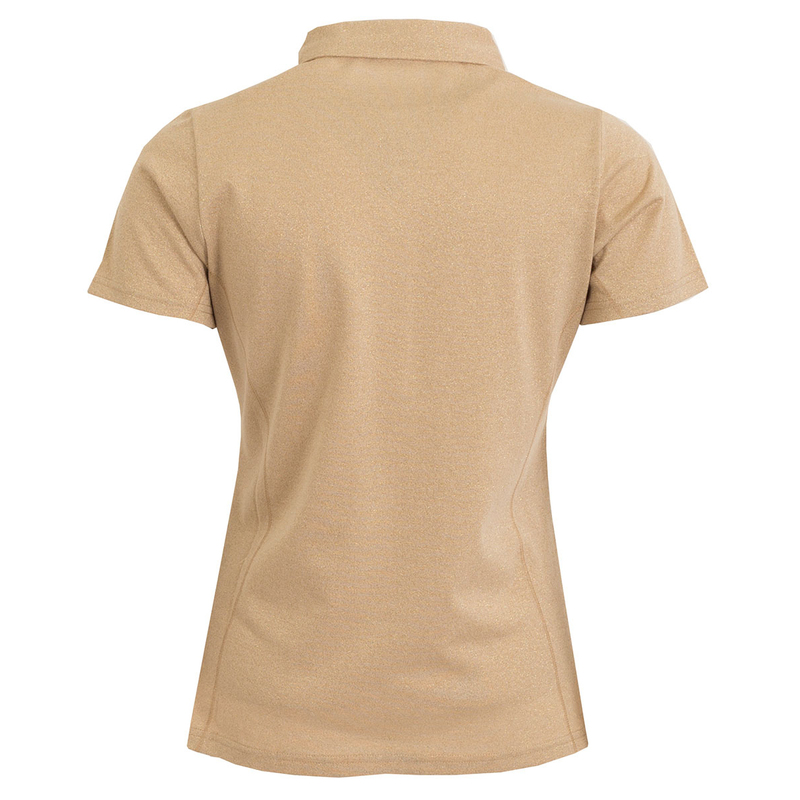 This shirt has a distinctive gold lurex knit fabrication that give a stunning effortless look, with a blend of stretch fabric that offers better shape retention and gives full mobility during the athletic movements of the golf swing. The design features a self fabric collar with 5-button placket and has open sleeves, plus a 3D heat seal Lamb logo on the left hem.